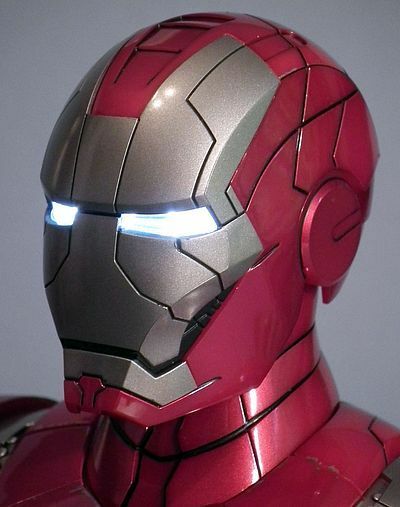 Jeff is back with a look at another of the terrific Hot Toys Iron Man busts - take it away, Jeff! When the second Iron Man movie hit there was a lot of expectation. The first movie had proved to be that most elusive of beasts; a summer blockbuster that made the fan-boys and the general theatre going public very happy. You couldn’t help but walk away from the movie with at least a slight smile on your face. A lot of this was brought about by excellent casting, but there’s no denying that best cast in world can still fail if the story and production values aren’t their to back them up, but on this occasion they were. Sadly the second movie wasn’t as strong. It had some solid performances again and the story wasn’t that bad at all, but it just didn’t capture the carefree easy-going style of the original, well, in my opinion anyway. However… having said that, for me one of the very best extended sections, even when looking at both movies side by side, was the Monaco race track showdown, the attack by Whiplash and the donning of the ingenious MK V suit that is transported in a briefcase. I think this was amongst the most memorable scenes that either movie had to offer. 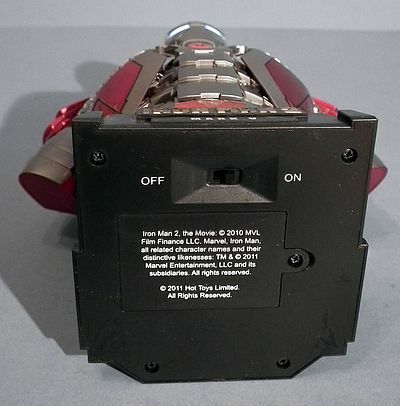 The moment Stark kicked open the case, thrust his hands into the contents then stood up as the armour literally wrapped itself around him was a solid gold cinematic ‘Whooooaahh!’ moment! 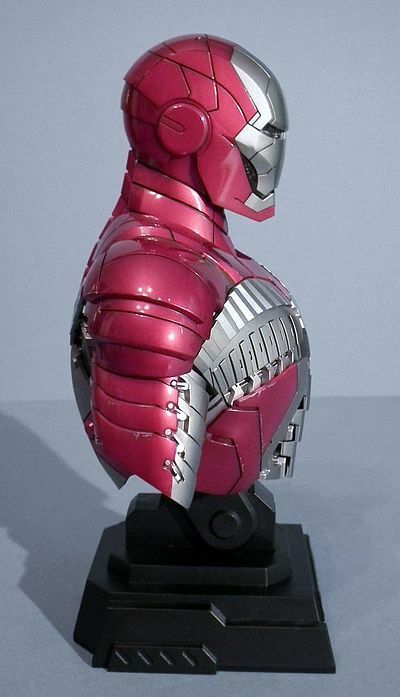 And for me the actual design, with its predominantly steel and red colour scheme was also the coolest the suit managed to look over the course of all three movies (well, OK, I still kind of favour the junk yard MK I, but in terms of shiny power suit, then this was my ace!). 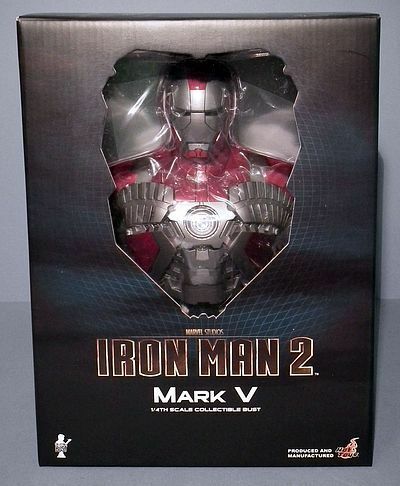 This version seems to have taken an eternity to come out, I reviewed the first release of the MK IV way back in August of last year, which was soon followed up with the MK VI and War Machine in November. Now a full six moths later here at last is the MK V, I hope the wait was worth it! 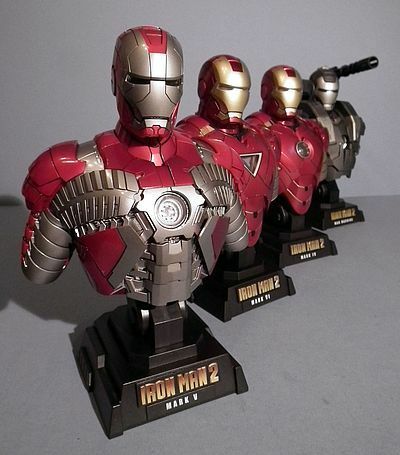 Just like all the other Hot Toys boxes for the Iron Man busts, they concern themselves more with the protection and display of the contents than with the fanfare we get with the 1/6th figures. As such this is a solid corrugated-card container with a large die-cut window on the front, the back has some colour photos of the contents and the bust itself is held snugly in a vac-formed tray. It’s not the most inspired bit of graphic design we have seen from them, but it does however ensure that the contents get to you in first class condition. 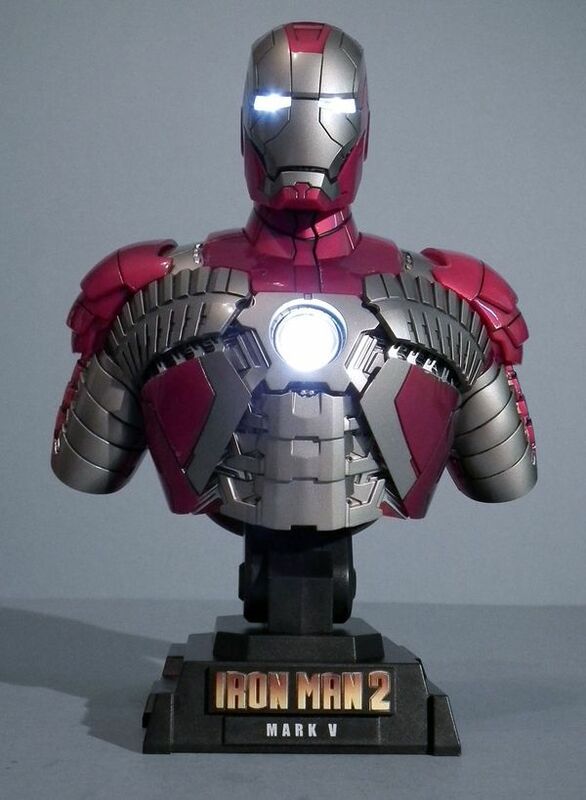 Hot Toys have really made the Iron Man licence their own. The level of detail and observation on all the representations of the power suits across the board has been pretty spectacular, and of course it carries on here. So what can you expect? Well in a nutshell this is a virtually perfect scale model of the MK V armour, one that fits snugly between the MK IV and VI. 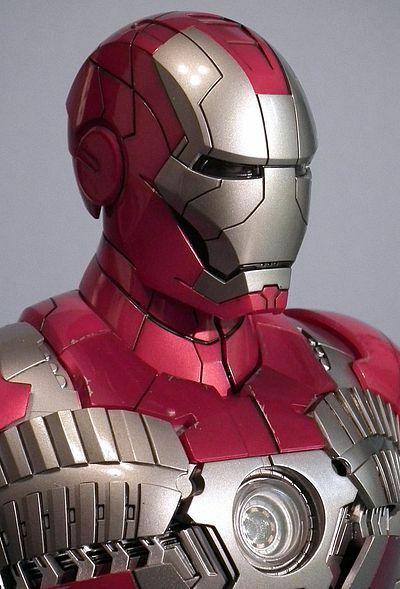 I would imagine that the sculpting here was practically all done digitally, as indeed the designing of the suits would have been for the movie. Just how much or little access Hot Toys had to the 3D models created for the movie I don’t know, but whatever it was they have pulled of a fantastic � scale model of it here. 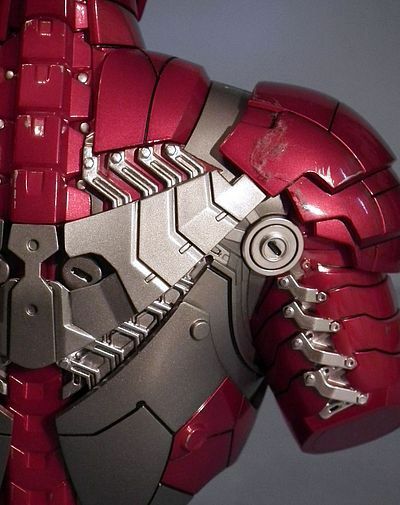 The implied ‘collapsible’ nature of the suit means that it’s criss-crossed with a lot more division lines and panels. I especially like the tire tread sections that radiate out from the ARC, running up over his upper pectoral area then down the arms, heck even the back has a whole mess of detail showing the way this thing is meant to be held together. 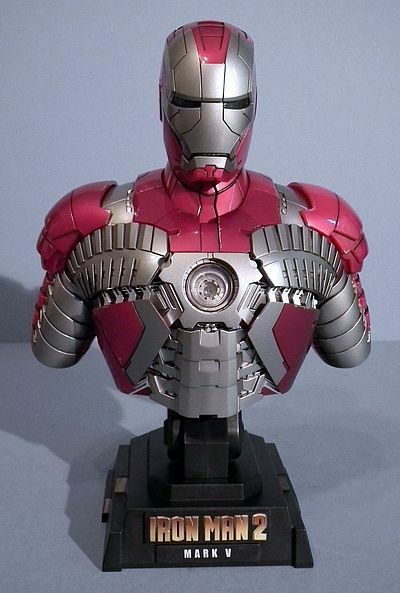 Like the busts that came before it, this is mounted onto has an industrial looking plinth, and has the movie logo on the front beside the suits designated number. I can find nothing to fault here; even after freeze framing the Blu-Ray and holding this thing up next to it…did I just admit I do that… move along! I’m being exceptionally hard on this figure in the paint app department, as to be fair it still shows a far higher degree of finish than we get on more expensive and larger scale versions from rival companies. However the previous busts have been utterly perfect in the cleanliness of the division lines and showed no slop whatsoever. But on this version, if you look REALLY, REALLY close, (and lets face it, it’s my job to look REALLY, REALLY close) then you might see just a hint of over painting in a few small areas on the small details of the back. But that is it, to the usual (and for that you could read ‘non anally retentive’) collector, this is still pretty close to being perfect! All the colours are deep and lustrous, the metallic finishes are convincing. The division lines where the panels join are all picked out super accurately in black, and the whole thing stands on a matte black base. 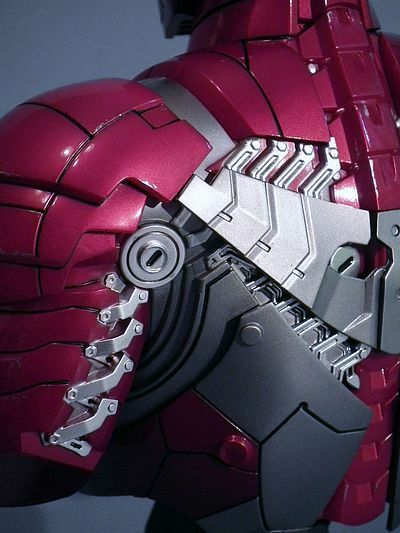 I’ve deducted a � of a star for the ever so slight over painting, and you may feel I’ve been over pedantic… but Hot Toys have made a rod for their own back! Once again we have the ability to turn the head, it helps inject a little personality, especially when displaying the full line up of the busts together, but in all honesty it’s not so much articulation as a little added bonus. 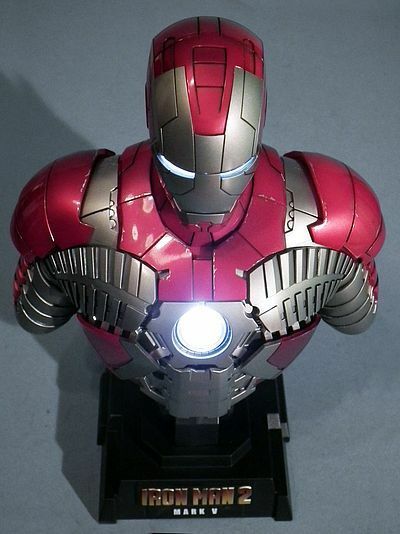 This again works in the same way as the other Iron Man busts, you simply insert three AAA batteries (not included) into the base, and then just flick the switch, which is also concealed under the base next to the battery compartment. After doing so the light on the chest and in the eyes illuminates brightly. 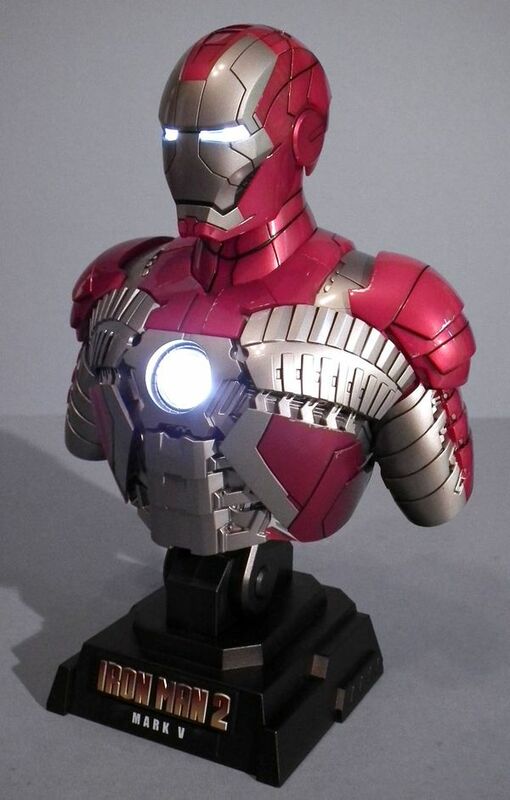 It looks great on its own, but when lined up with the other Iron Man busts it really comes into it’s own. If only I could wire them to the mains! It’s a bust… you can’t play with it as such, but what you can do is put it on your desk (or shelf, lets not be shelfist) and look at it. Now I admit that’s not gonna have you whooping like Silvio Berlusconi at a bunga-bunga party, but it brings its own sense of gratification, and if you hold public office it’ll get you in a whole lot less trouble! As I said in my last review, for maximum effect these look best when lined up, and dare I say it, they do radiate a feeling of joy, if not exactly fun! 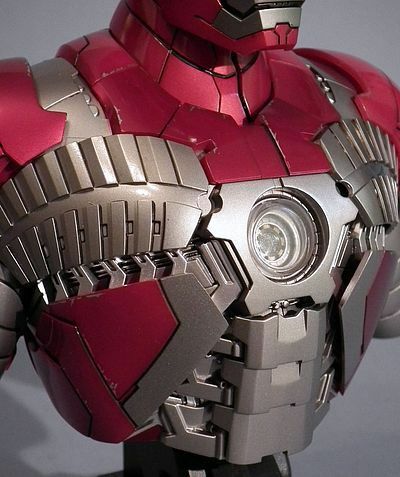 This guy comes with a $74.99 RRP like both the MK VI and War Machine. For some unfathomable reason the MK IV was only $64.99, and to me that seems like a far more reasonable amount. You can bet this came with a hefty licensing fee, but the fact that it is in effect a static representation, not needing the complex engineering and problem solving of the 1/6th articulated figures makes me feel the price tag is a little hefty. 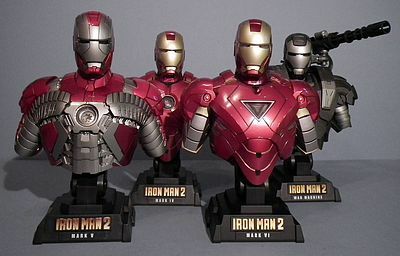 But who cares what I think, as the buying public snapped these all up faster than the frozen MK II in freefall, meaning that Sideshow have long since sold out, but if you act fast I have a link to ONE of Mike’s sponsors that has it still in stock. 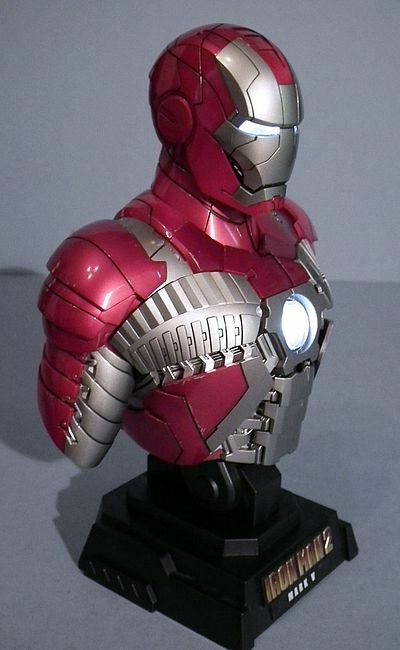 I like this series of busts a lot, and the detailing and production quality is uniformly outstanding throughout. So the only thing holding this back from a top score is the price. However, if you don’t have the space or budget for Sideshows impressive 1/1 scale offerings, then these are a great cost effective alternative, meaning the price might actually seem like something of a steal. Sideshow have sold out at the RRP of $74.99, as have Big Bad Toy Store who also had him at this price. The only sponsor I could find with it in stock was Urban Collector where it is also at the full RRP of $74.99. Apart from that it’s time to hit eBay where the prices are between $85 to $120.